If you are looking for a best electric violin, then you have come to the right place. If you take your playing seriously, this is not a decision you can make quickly or easily. It takes lots of consideration before making the leap into the final purchase of this, let’s face it, cool electric instrument. Searching on the Internet can often leave you empty-handed, and you may even end up more confused after you’ve search many pages and electric violin models. Luckily, we have compiled some of the most basic but important information about electric violins to make the process easier for you. We have analyzed and compiled this information so that you don’t have to. 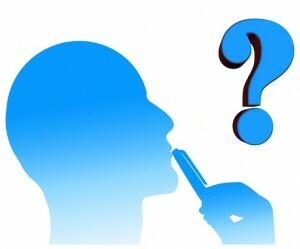 You can make your decision much easier and dedicate your time to becoming more familiar with your new model. If you are simply practicing, recording in the studio or performing on stage, any Cecilio electric violin review will tell you this CEVN-2BL model is impressive enough in style and functionality to get the job done. It is a full sized model that provides the surrounding silence many players need during practice, and it works nicely as an affordable model for those looking to transition from acoustic. The Cecilio CEVN-2BL features a hard-carved solid maple body with a mother of pearl inlay with its pegs, fingerboard, chin rest and tailpiece made of ebony. The unit features a 1.8-inch output jack to allow for connecting to amplifiers and PA systems, volume control, a headphone jack and a line-in jack for adding background tracks. The CEVN-2BL is powered by an included 9-volt alkaline battery and it features a 1 year warranty against manufacturer’s defects. It comes included with a Brazilwood bow with unbleached genuine Mongolian horsehair, rosin cake, bridge, auxiliary cable and headphones. It also comes with a hard case that can be worn like a backpack when moving around before or after play. This Cecilio electric violin features a stunning blue metallic finish, and it works well for student, intermediate and professional players. The Yamaha SV-130 first catches the eye with its bold and unique appearance. Its body mainly exists on one side, but the style does not take away from its quality. The unit still feels and plays like a high-quality violin. Buyers note in Yamaha electric violin reviews that the model is easy to tune and produces a great sound. It is quiet enough to allow developing players to practice well enough without bothering those around. The sound produced by the instrument is very low to the surrounding environment, but with headphones it creates a rich and resonant sound. It features on-board reverb for an adjustable ambiance along with an MP3/CD to allow the user to play along during practice. The additional 1/4-inch output allows the Yamaha electric violin to be plugged into any standard amplifier and be played like a typical instrument. With amplification, the violin still sounds clear. The main drawback noted by players is the fact that the model does not come with accessories such as strings, a bow and a case. 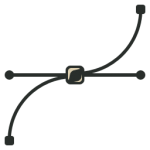 The player must set up the bridge and strings, but beginners may have difficulty with this. The Stagg EVN BK allows many of the same playing functions as an acoustic guitar, but offers the benefit of also playing through an amplifier. It comes in multiple colors and has a very unique appearance that captures attention time after time. Even players that have years of experience playing the acoustic guitar are impressed with this model’s ability to play like the standard instrument. This model makes a great violin for its price, and it is recommended by many buyers as a good choice for those just getting started with the instrument. The main drawback with this model is the fact that there is no power switch, so this requires the owner to remove the battery after each use or constantly keep stock of 9 volt batteries. The ViolinSmart EV20 is an electric violin that allows for quiet practice compared to the sometimes bothersome sound of practicing with a traditional instrument. It has a very bold and modern appearance that adds a touch of novelty that captures attention whether the instrument is on display or actually being played. The body, fingerboard, chin rest and pegs are constructed of durable plastic, and the tailpiece is made of metal. The quality of its build is impressive with its sturdy and dense construction. It can be connected to a standard amplifier for performing or enhanced practice. The ViolinSmart EV20 comes included with a Brazilwood bow, rosin, genuine unbleached Mongolian horsehair, a bridge, auxiliary cable, headphones and a lightweight hard case. There are some minor issues with the model such as the stability of the bridge and initial tuning. It may be best to take the unit to a professional to have it properly set up. All in all, this model works very well as an electric violin for practice. The Barcelona Beginner Series model is a violin that plays well in addition to its exciting esthetics. It has a modern and futuristic look that will make it appealing as a decorative or conversation piece even when not being played. It features black hardwood pegs, a chin rest, fingerboard and tailpiece. It is a durable but light model that may appeal to some but make comfort harder for others that are more used to a heavier violin. The model produces good sound and allows for headphone use, but it will still produce reverb for a more natural effect. The headphone capability helps with quieter play, but it can also be hooked up to an amplifier. The tone produced by the instrument is just as good with or without headphones or with the amplifier. The model comes with a padded bag/soft case, amplifier cable, headphones, a wooden bow, rosin, a battery. It is an affordable model for those needing a simple violin. It makes a great option for those still testing their interest in the instrument, players trying to learn the basics of playing and those that enjoy practicing without disturbing others. One drawback to the model is the need to attach the bridge during setup. The ADM violin allows players of all levels to practice easily and confidently without disturbing anyone around. The instrument is very capable and playable, and the acoustic sound it produces is quiet enough for practice. Players are impressed by the model’s great sound quality, and many believe it performs as one of the best electric violins they’ve used. It can be tuned easily for those with experience to allow for immediate play. 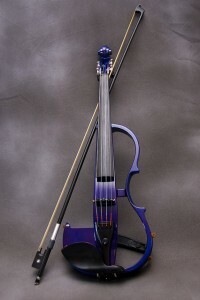 The well-made violin presents a unique shape and design. It is available in blue, black, red and white with a high gloss spray finish. It is constructed of hand-carved plywood with an ebony fingerboard, pegs and chin rest. It features an alloy tailpiece with four fine tuners. Players also appreciate its price considering the quality. One small concern is the need to set up the bridge, and this may require professional assistance for inexperienced users. The full size ADM violin comes with a lightweight hard case, 9 volt battery, auxiliary cable, headphones, rosin cake and a Brazilwood bow with ebony frog and unbleached horsehair. The High-Grade 8 Pattern electric acoustic violin is a great model for beginners. Designed with a figure 8 pattern, the physical quality of the instrument is splendid. Its frame is made of wood, and it is neither too light nor too heavy. The piece is well-constructed with a sturdy back and components that are easy to maneuver. The unit features three 3.5mm ports with an input for microphones and an output for headphones. Both output ports can be used simultaneously. The violin also comes with a quality wood bow with unbleached hair. Other accessories include a case, rosin cake, headphones, connecting cable and the initial battery. The instrument can be played without a speaker or amp, but some may find the sound too low. A downside to this model is the fact that it must be set up by the user. The Merano MVE20WT-A is a high-quality beginner violin constructed of hand-carved solid maple. It features an ebony fingerboard, pegs, chin rest and tailpiece with four fine tuners. Like many electric violins, this model is very bold in terms of appearance. It can easily grab attention as an extra benefit in addition to its playability. Because it is essentially “silent,” players can use it to practice quietly without disturbing others. The Merano MVE20WT-A is one of the best electric violins, so it comes with quality accessories as well. This model comes included with an ebony frog unbleached white horsehair Brazilwood bow that is full-mounted with a Parisian pearl eye and slide. It also comes with an amplifier cable, 9 volt battery and stereo earphones. Its lightweight case features a Cordura nylon cover with plush lining. It also has a pocket for sheet music, an accessory compartment and adjustable straps. The quality of the Barcus Berry Vibrato-AE is excellent enough to be compared to more expensive and advanced models. Even violin instructors regard the model as worthy of orchestra performance. The Barcus Berry violin is hand-crafted and features a fully hand-carved spruce top with a maple back and sides. This unit has a seasoned German maple bridge along with a Barcus Berry 1320 Piezo violin pickup. The pickup is even and well-placed, and it performs well even in loud settings. The violin sounds great acoustic or plugged in. It produces a beautiful and rich sound in either circumstance, and it is easy to use immediately. It is practical to tune, and the included strings perform well while staying tuned. As long as the violin is set up comfortably, it can play as a perfect instrument for live stage performance. The Fender FV-1 electric violin makes a great alternative to the standard instrument. It is quiet enough to use for practice on its own, but it is loud as you need it when hooked up. The violin features a top made of solid spruce with its back, sides and neck made of maple. It features a fingerboard made of ebony with an ebony bridge and tuning pegs. The Fender electric violin also carries a feel very similar to an acoustic violin with a slightly heavier weight. If you don’t want to lose the feel of holding the real thing, then this should be a high consideration. The pickup is located right under the bridge, so many styles of strings can be used with this model. The Piezo pickup provides passive volume and tone controls. One of the most appreciated features is the fact that this model can be purchased with the horsetail hair bow, rosin, pickup, shoulder rest and books included. It also comes with a Cordura-covered hard shell case. Some users complain about the included shoulder rest in saying that it is difficult to keep in place, so it may be easier to replace it with a more efficient one. The most important options for a violin will vary depending on the player, but there are many features that should make everyone’s list in terms of importance. Identifying these factors will not only help you narrow down your search process, but it will also ensure you get the most out of the experience upon initial purchase and in the long run. Planning ahead of time within your budget will help you in choosing the best electric violin. You should set a specific price range to help you narrow your search and make the process much easier. The price range can vary greatly for acoustic models from less than $100 to over $100,000 for the finest antiques, but the range for the best electric violins isn’t nearly as wide. When buying your first electric violin, you must remember to allow room in your budget to also purchase a quality amplifier, pickup and effects processor. You can spend around $250 on an affordable instrument along with the quality extras to get the enjoyment of playing electric in addition to the reliability of an affordable model you own instead of having to rent. Shopping for violins between $500 and $1,000 allows your options for quality to open up much more. Violins in this range can help you save from the most expensive models, but they still offer a quality that is good enough for skill practice or performance. Features in this price range are relatively limited, but wood and paint esthetics are adequate though plain. Instruments in the range are mass produced, but you can find reliable brands such as Yamaha that are known for high-quality assurance standards. These instruments are impressive in tone and ability to play. Electric violins in this price range will show even more attention to appearance, build and extra features. Some may consider instruments in this range to be the best values the electric violin market has to offer. The difference is measurable. This is because the models in this range are suitable enough for professional performance or even recording. They are a step above lower-priced instruments in terms of design and ability to produce impressive tones. Models in this range include the Yamaha SV-200 with its equalizer dial and dual-piezo pickup, Bridge violins with carbon composite bodies that produce a rich tone, Aurora 4 and 5-string models made of transparent acrylic with colorful LED lights and the NS Design NXT with the innovative JackPot potentiometer just to name a few. You can also find the handcrafted Vector Prodigy that offers the benefits of unique appearance from personally-grown wood as well as the acoustic sounding tone that comes from meticulous design and construction. Electric violins beyond the $2,000 range are without a doubt of professional quality. These models are most likely hand-crafted with advanced design components and features. They offers detailed and fully expressive tonal execution with their available pickup designs. Models in this range include the Vector Prodigy Pro, NS Design CR and Stratton Skull handcrafted models among others. Electric violins priced at $3,000 and above are more rare with especially beautiful wood patterns, veneers and finishes. In this price range, there is little difference in improvement of build, pickup or tonal quality over the electric violins in the $2,000 to $3,000 range. The cost comes not just from the highest in tonal and build quality but also a combination of exceptional function and visual art. These models act as great conversation pieces even when not in use as performing instruments. Custom finished ZETA and Fourness models, Wood Violins Vipers and Jordan violins are popular models in this category. 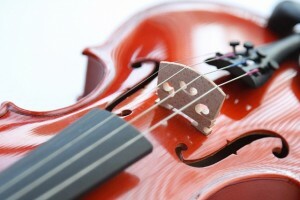 Once you have determined your budget, you should also assess what you need from the violin. Some people may just want a model they can use to practice with quietly, but others may plan to use their electronic violin for performing as a hobby or professionally. Some people may want a reliable violin that they can use for practice initially and eventually develop into a serious performance instrument. Some models are suitable for just one of these purposes over the other, but many models are capable of serving both purposes equally as well. Fortunately, there are various styles to choose from to suit all of these needs. Depending on your environment, any violin you use primarily for practice should be used with headphones. This is to show consideration to those around in addition to allowing you to fully focus on the sound and development of your skill. 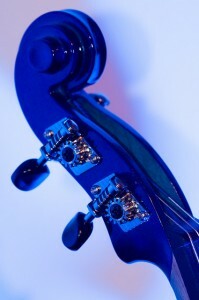 Many electric violin models have headphone jacks already built in, so they can easily be used as practice instruments. Those without headphone jacks can still be used with headphones, but they will require the use of additional equipment such as amplifiers or effects processors that have their own headphone jacks built in. Many high-end electric models work well for recording and performance, but you may want a more advanced model depending on how serious your recording and performance goals are. In these instances, it is better to invest in a fully capable unit with a strong and even output. More ambitious violin use will warrant a budget of at least $1,000 and beyond. Those less expensive models can be adequate in some performance settings, but it is better to go for the most reliable quality when it counts in addition to avoiding the need for superior amplifiers and other enhancements to improve the sound. Acoustic-electric violins are separate from electric models in that they are actually acoustic violins that feature permanently mounted pickups. They vary greatly in wood quality, body, pickups, tone control and inputs/outputs. These styles may be appropriate for those looking to play acoustic styles with amplification in order to preserve the richness of tone with acoustic violins, but they are less suitable for louder full band performances as they may present issues with feedback. Using effects with these violins may also cause feedback problems, so it is better to use a general solid-body instrument to provide a more predictable output at any volume. Frets on violins allow the player to add guitar techniques for style or to master a particular sound. They also help simplify chord patterns for the left hand. Frets act as a visual guide on the fingerboard in addition to providing absolute pitch when playing in loud settings where maintaining pitch can be more difficult. 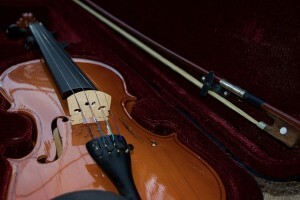 MIDI-capable electric violins can be used to trigger MIDI tones when used with computers, control synthesizers, record MIDI tracks and transcribe notation. MIDI-capable models can only be used with certain types of MIDI equipment depending on their output type. The tone of the violin may be considered by some to be the most important aspect of the instrument. How one perceives the tone may depend upon their personal preferences, but some electric models are made to sound more like acoustic violins compared to others. The tone of the violin becomes much more natural sounding with more complexity and better pickup technology as models go up in price range. For most players, it is generally a good idea to start with an electric violin that possesses a tone that matches their preferences for an acoustic instrument. The tone can always be altered through effects and EQ, but it is best to have an instrument with a standard tone that is already pleasing in order to be completely satisfied with the violin. As an important aspect of a violin, an ideal tone can be one of the most difficult qualities to capture in a model. It may be best to try out different styles and share the sound with a colleague or superior violinist that can help you pick one that pleases you. Jordan, Stratton Skulls, Vector Prodigy Pro and Wood Violins models feature a Barbera bridge that provides a bright and vibrant tone while the ZETA Strados pickup offers a more edgy sound. Bridge Violins, Fourness, Yamaha and standard Vector Prodigy violins are often warm and rich in tone with a very natural sound. Models from the NS Design CR series feature on-board knobs for treble and bass modification that allow the player more tonal control and the ability to switch from neutral to bright to rich and dark tones easily. The look and feel of the violin can be just as important as its ability to play for some people. You want a model that you feel comfortable bringing to all settings, but it should also be impressive. You also need a model that you can adapt to and hold comfortably again and again. One of the most exciting features of electric violins is the versatility they present in appearance. Many models have outrageous designs that capture the attention of others, but some people prefer instruments that are more traditional in appearance. Even though unique designs may have their more outrageous appearance, they still offer the same standard measurements and performance of acoustic models. Popular models with extreme designs include the Sabre, Stingray and Viper models from Wood Violins, the Vector Prodigy, the Keebler Warhorse and models from NS Design. Models that are available with more traditional appearances are available from brands such as Yamaha, Bridge and MSI. Even among these types, there are many colors and finishes available to provide a bold color even with a more traditional build. Factors such as the size, shape, weight, chin rest and shoulder rest all contribute to the ergonomics of a violin. Many electric violins are designed to allow the player to use their preferred shoulder rest with total comfort. The Viper model from Wood Violins and the Warhorse from Keebler use a shoulder strap system that allows the user to play hands and neck free. NS Design models have adjustable shoulder rests, and the SV-130 model from Yamaha requires the Kun shoulder rest which is included. Weight is also an important factor that should not be overlooked, and many electric models are noticeably heavier than their average acoustic counterparts. Other models may weigh much more, but their weight is handled more easily because the load is carefully balanced on the shoulder. Most electric violins weigh a bit more than typical acoustic models, but the difference isn’t usually too noticeable. Some of the lightest electric models include the Yamaha SV-250 and 255. Players of all skill levels and styles may need help in upgrading to or initially purchasing new violins. Use the electric violin reviews available here as much as you can to help you determine the type of violin that will suit your purpose the best. If you have gone through this much of our site, then you are more than likely equipped with much more information than you had before and much more than the typical electric violin shopper. You have already examined the most important factors that distinguish electric violins and decided what you need in each factor. After deciding which characteristics are the most important to you, all you have to do is narrow down your choices by determining which models match up well with the specifications you chose for each category. Consider each factor on an individual level until you can find the available models that meet many or all of your preferences. Weigh all of your options before doing further hands-on research. Learning about the ideal models that match your needs is the beginning, but you will be much more satisfied in the long run after actually getting your hands on them and testing them out. Spending less time searching for a violin gives you more time to start playing it, so make the process easier and buy your perfect model as soon as you can. © 2018 Violinio.com. All rights reserved.